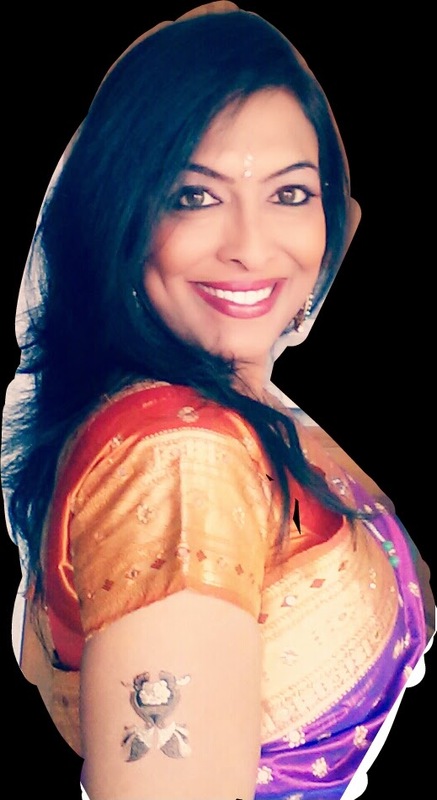 Home / Local Events / Mixed Bag / Ananya Interviews Latha Pat Sambamurti ! Ananya Interviews Latha Pat Sambamurti ! 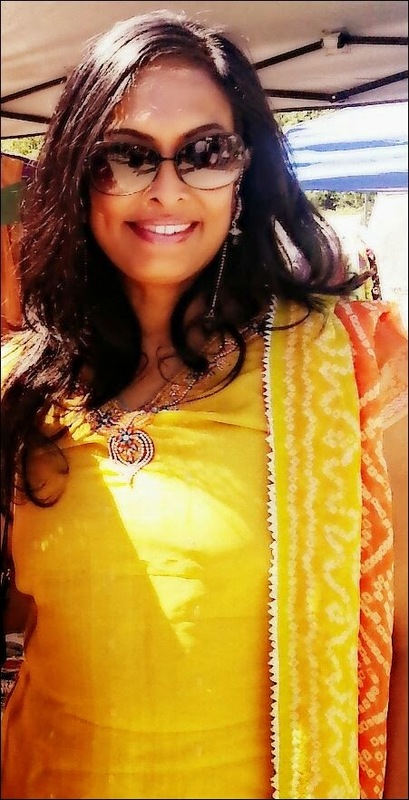 Latha Pat Sambamurti is the Artistic Director of Anand Mela . So let us know more about her and what goes on behind the scenes. Q1. Ananda Mela 2014 was huge with more than 15,000 people attending it. Can you please tell us what kind of preparations go on behind the scenes. Planning Ananda Mela is a year-round process, and starts with an analysis of the Ananda Mela just concluded, shortly after the festival. We (Vedic Cultural Center, VCC) discuss every aspect of the festival, and analyze what worked best, what did not, where there is scope for improvement, and so forth. Moreover, we have discussions with the City of Redmond staff who are involved with the festival. The City staff help us finalize the dates for the next year’s festival, and we exchange detailed feedback with them on how the collaboration between the City of Redmond and Vedic Cultural Center worked in different aspects of the festival. Efforts are intensifed in spring a few months before the festival, on such aspects as festival ground layout design, planning of festival attractions, food booth offerings plan, artistic content, marketing/publicity, etc. In the final month before the festival, dozens of volunteers work round the clock. The result is a fabulous experience for the enjoyment of thousands of folks. Mind you, even prior to launching Ananda Mela in 2010, VCC has offered a wide range of large-scale indoor and outdoor festivals year round, like Kumbha Mela, Ratha Yatra, Janmashtami, etc. The organization carries considerable experience and has built enormous capacity to stage such festivals. VCC derives much of this capacity from their leader Hari Vilas Prabhu (Harry Terhanian) who is the visionary behind Ananda Mela and all the other festivals we do. His leadership is what makes Ananda Mela a great festival, and what makes Ananda Mela grow in reputation year after year. Q2. As an Artistic Director what are your views on cultural festivals? How important are they? Cultural festivals serve as important bridges in the community. They showcase some of the best aspects of cultures in our midst here, and offer them for the enjoyment of everyone, whatever be their national or cultural background. Festivals provide a fantastic gathering point and common context for the community to come together, to have fun, to celebrate and to learn. The pleasant experiences at the festival ground last long after the festival is over, and enhance one’s familiarity and appreciation of other cultures, in a way that “other culture” becomes more like “my culture”. Q3. You were the MC for two long sunny days, How do you do that ? It’s something I am passionate about. Watching thousands of people enjoy something you have helped to create and present is ample reward in itself. We offer programs on two stages over two days. We have our bright youth volunteers taking care of the proceedings on the Yamuna Stage. On the Ganga stage, much of the day’s proceedings is directed by Vrajabhakti, who is our Coordinator of community stage programs. She manages her tasks with considerable flair. I MC the featured events in the evening, talk to the media, and as well take care of some other attractions during the day, like the Cooking Contest. Q4. How was AnandMela 2014 different from the previous years? Increased audience participation has been our major goal, and this year, we bore that in mind when planning stage events and various contests. Our Sunday night feature of DJ Prashant and his Jai Ho! Party was a smashing success. It got everyone involved in some spirited dancing throughout the evening. 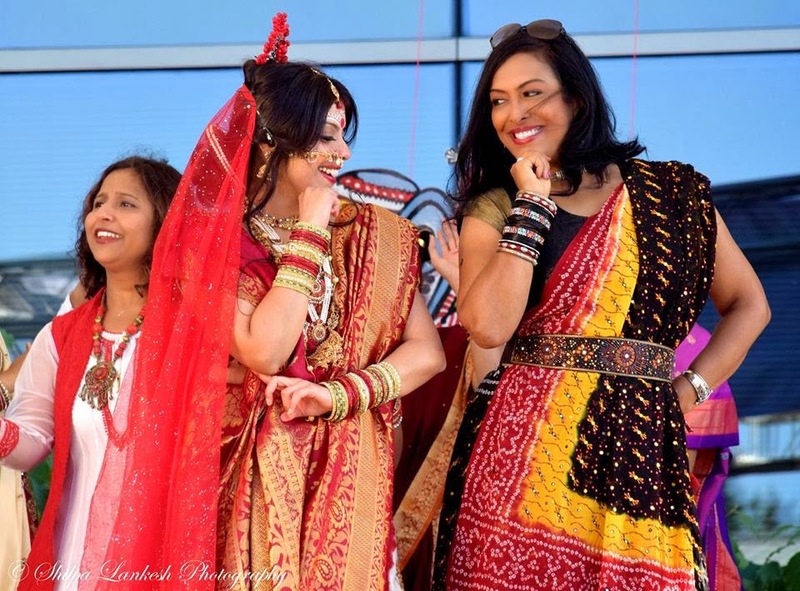 Also new this year were magician Maritess Zurbano, and the Brides of India fashion parade. Another star (new) attraction was the Vedic Village display, showing a riverside physical setting with scenes of activities there. The painstakingly and lovingly created displays were a marvel to behold, and transported you back in time to an ideal Indian village. We had drastically re-designed our festival ground layout this year (in comparison with previous years). I am sure the new layout contributed a lot to the success of this year’s festival. Finally, our food menu featured some new items. Q5. What are your special plans for Ananda Mela 2015? It’s perhaps a bit too early to answer this question at this point, with just a week having passed after the 2014 festival. Let’s just say that the festival marches forward in its growth path, and will be even bigger and better next year..
Q6. What is your message to all our readers? Please take a look again at my answer to Q2. Cultural festivals are (if you permit me to borrow the phrase) of the people, by the people, for the people. Since the beginning of Ananda Mela, VCC has expanded its cultural offerings to other nearby cities. We now offer four other cultural festivals: Flavors of India (Bellevue Downtown Park, August 30th and 31st—don’t miss it! ), Light up Your World (Seattle Center, November 9 2014), Festival of Color (Redmond, spring time), and Surya Festival (Issaquah, Solstice time). These festivals are designed with you in mind, and aim to entertain you, inform you, and get you involved actively. The experiences at these festivals are wholesome, and designed for folks of all ages and national backgrounds. If you missed this year’s Ananda mela, come to next year’s, and come to our other festivals. If you did enjoy Ananda Mela, tell your friends who missed it, and ask them to watch out for our other festivals and next year’s Ananda Mela! An interesting interview of Latha. A beautiful initiative of community-building and carrying the pride of India to escalating high in US.